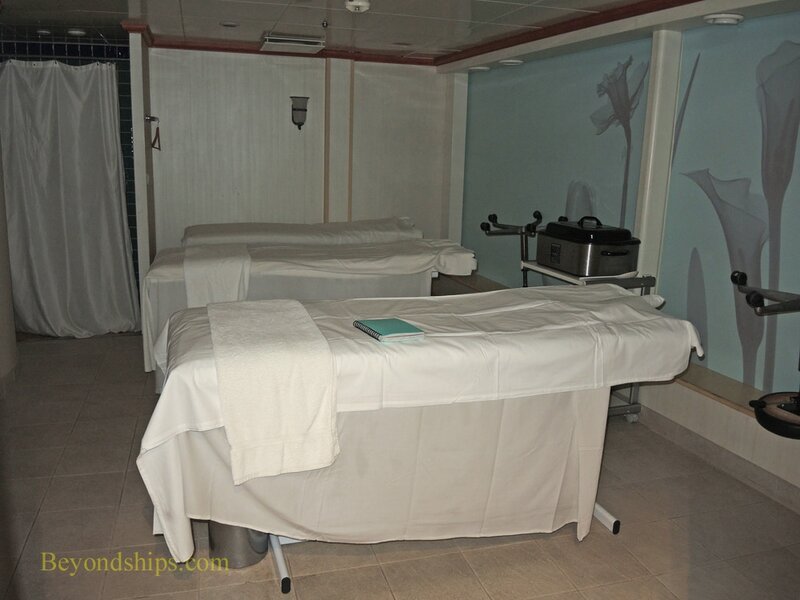 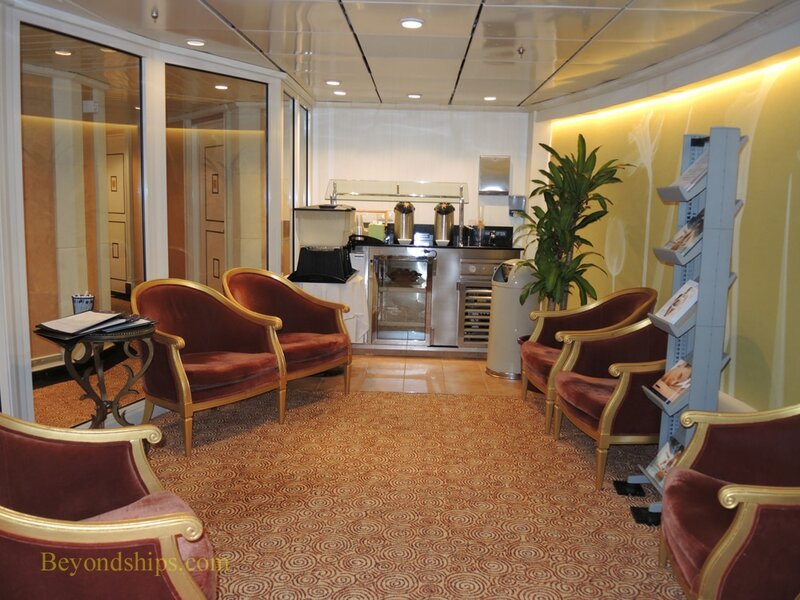 The Vitality Day Spa is on Deck 12 and offers such services as massages, acupuncture, and teeth whitening. 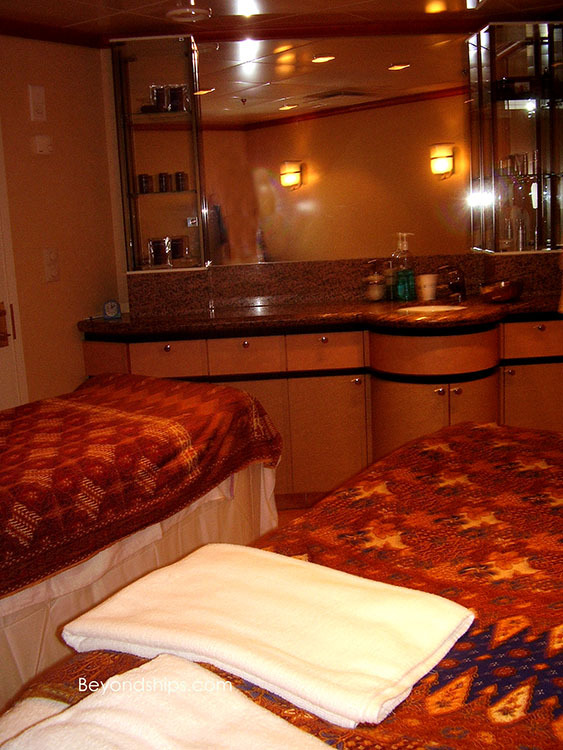 Above: A treatment room for couples. 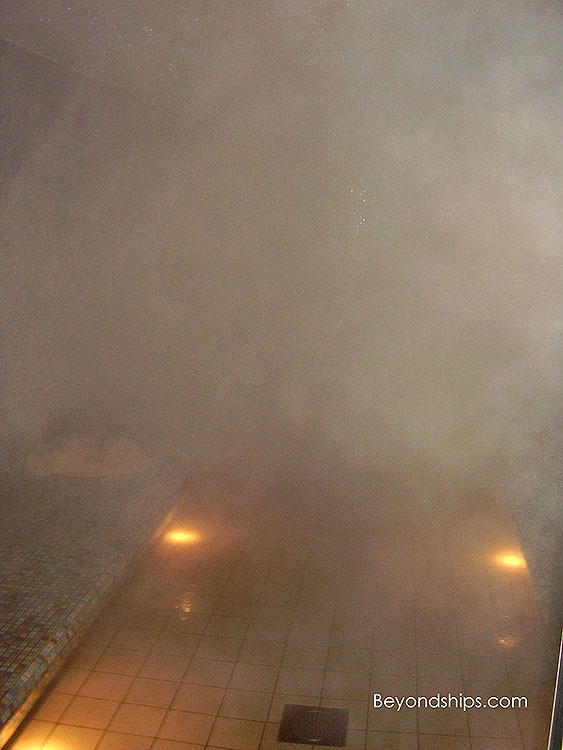 Below left: A cloud arising from one of the steam rooms. 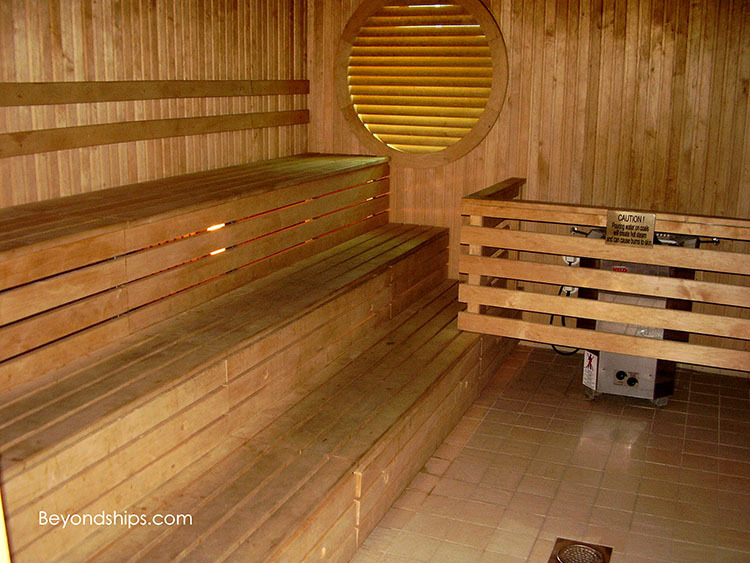 Below right: The men's sauna. 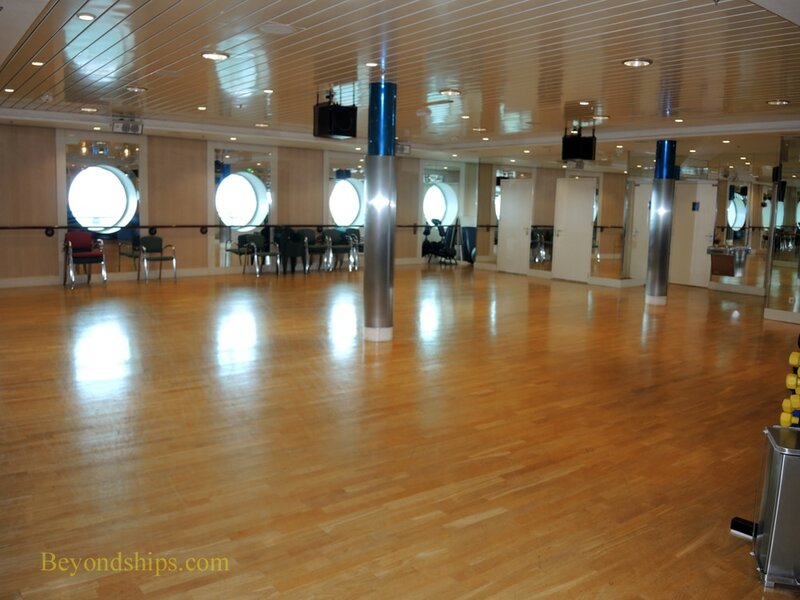 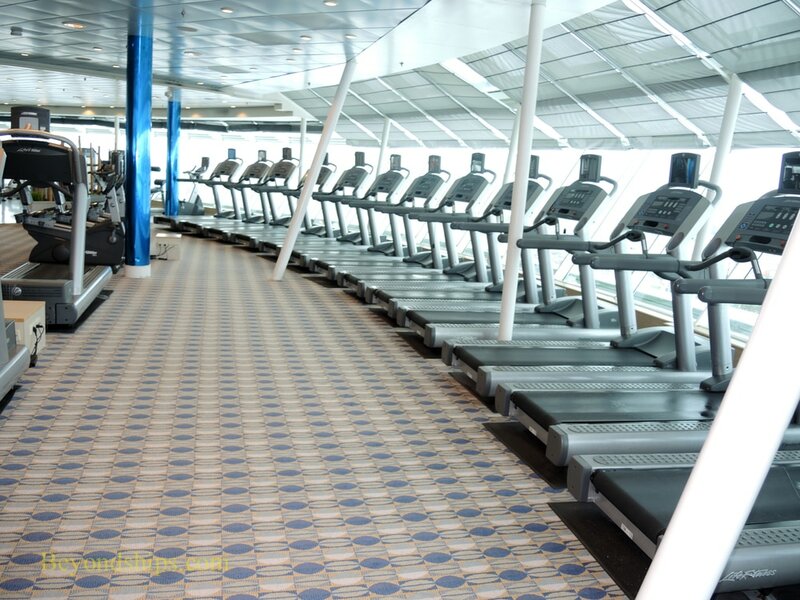 One deck below the spa is the Shipshape Fitness Center. 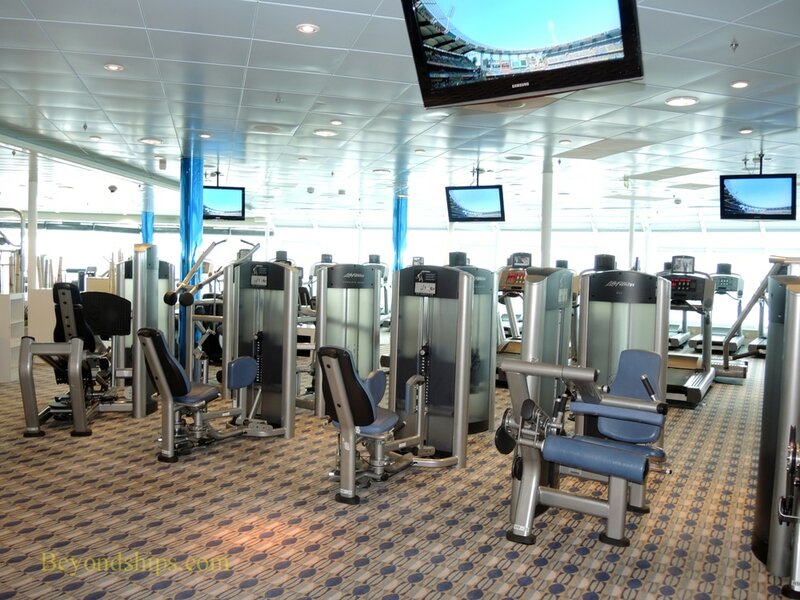 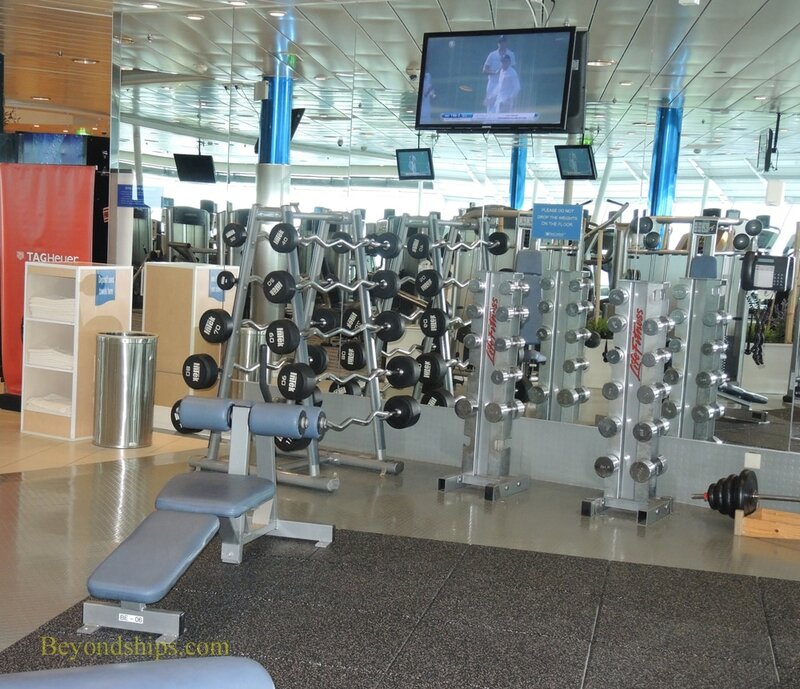 It has a large area for classes (above right), treadmills and other cardio machines (above right), weight machines (below left) and free weights (above right). 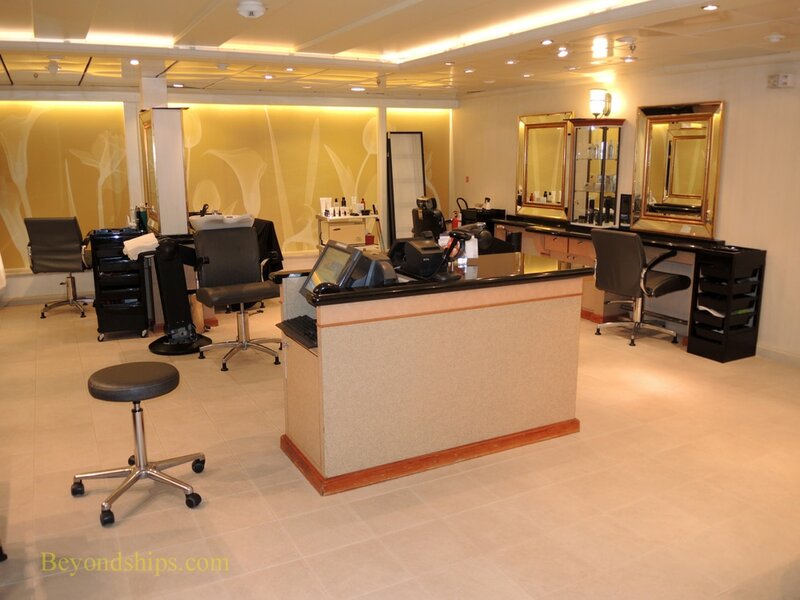 The spa complex also has a hair and nail salon offering services for both men and women.